Several options are available for donating to CMCA. One is to send a check to the address below. A second option is available for if you have a PayPal account. Click on the “Donate” button for further information. One of the options is to have a monthly amount provided to CMCA. The CMCA is a 501(c)(3) association. Contributions in support of the missions of the association. Tax ID number for CMCA is 46-5361645. Be sure to read the bullets listed below that are related to making charitable contributions. Charitable contributions are not deductible if you claim the standard deduction on your federal return. However, depending on your state of residence, you may be able to itemize deductions on your state return even if you use the standard deduction on your federal return. Keep a cancelled check or a receipt as proof of your deduction. A pledge or a note is not deductible until it is paid. 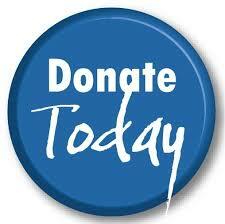 You may donate cash, goods or services. If you donate services, you may not deduct the value of your time. You may deduct unreimbursed expenses incurred during such work. If you donate rental time in your vacation home to be auctioned off to raise funds for CMCA, you cannot deduct the value of the rental time. The above are only a small part of the rules and regulations governing charitable deductions. Additionally, there may be recent revisions by the IRS. If you have questions beyond the scope of the above information, CMCA urges you to consult a tax advisor as to the deductibility of your contributions. CMCA is not a tax advisor and anyone making contributions is responsible for determining the proper amount deductible for tax purposes.